The inside diameter of the inner ring is about 1.5" in diameter (the golden ring is 5" in diameter). 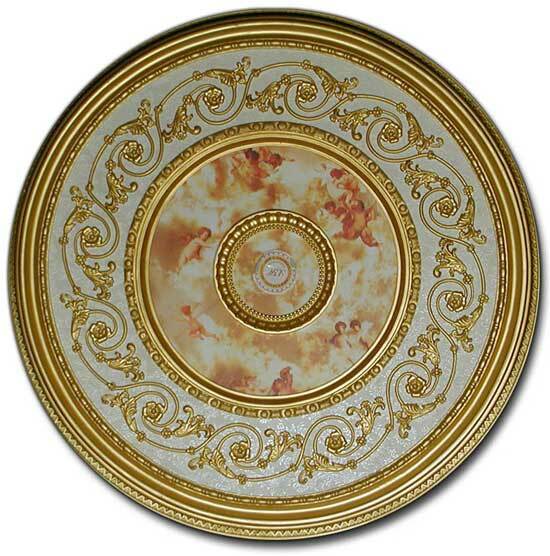 Installing our smallest Michelangelo medallion (the 31.5" diameter) is slightly different from the larger medallions. To install, drill small pilot holes around the perimeter where you would like to place your screws and thenn using drywall screws affix the medallion to the ceiling. You can also use an adhesive on the back side of the medallion.